Delicious animal crackers come in a bear-shaped, reusable container. Lid helps keep them tasting fresh. 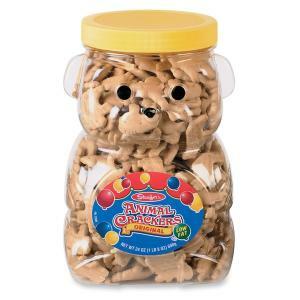 Animal crackers offer a fun, quick and filling snack for the breakroom or reception area.